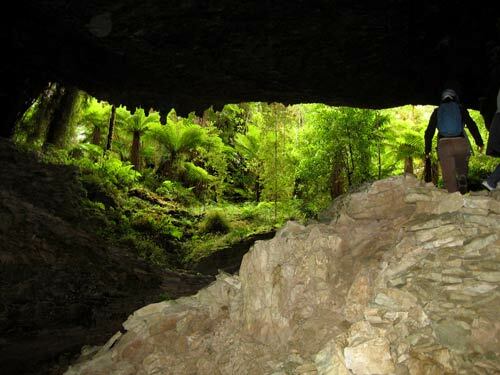 The northern part of the Ōpārara valley is underlain by limestone, riddled with tunnels and caves. There are many potholes and cave roof collapses, which give framed views of the bush above, as here. Some of the tunnels and caves can be readily explored, but access to part of the cave system is restricted to keep it undisturbed.